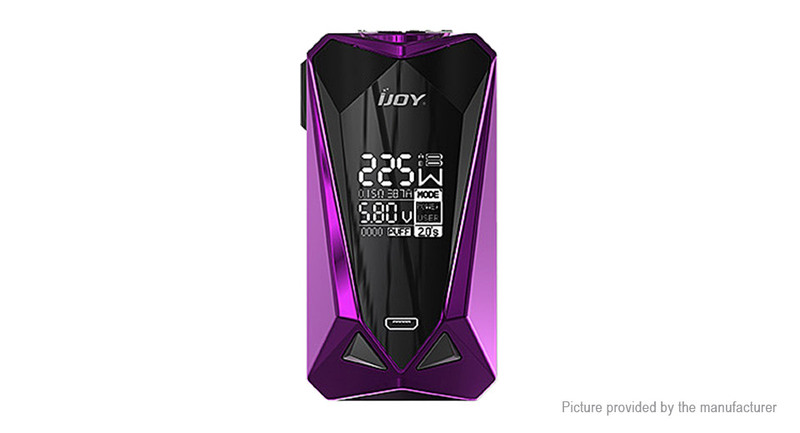 IJOY DIAMOND MINI is a cool and stylish double electric 18650 box. Its design is inspired by the diamond multi-faceted cutting technology. The fire button also adopts diamond design, which fits with the design elements of the whole machine. Millisecond fire speed, large OLED display, 225W high power, easy operation, various modes selectable, support NI, TI, SS temperature control, support for large size atomizer, support USB charging, and firmware upgradeable!